This workshop is designed to allow experiential insights into our true nature. By integrating the psychology of the West with the wisdom of spiritual traditions, such as Buddhism and Sufism our approach to self-realisation and psychological healing takes on another dimension. By exploring dimensions of psychology that explain the growth of infants to adulthood, we understand how essential nature and states of presence and consciousness can be rejected. 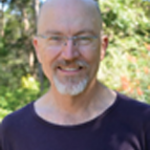 Terence has taught psychology and Gestalt Therapy while being a student of essence work (AH Almaas) for twenty years and brings this understanding to the field.